Why have I not visited Amsterdam before? It’s one of those places that’s always appearing on those ‘Best Cities’ or ‘Cities to Visit’ articles and after a few days there, it’s clear why! It’s somewhere I’ve been hoping to see for a while, so when it came to booking a short city break, it seemed like an obvious choice. 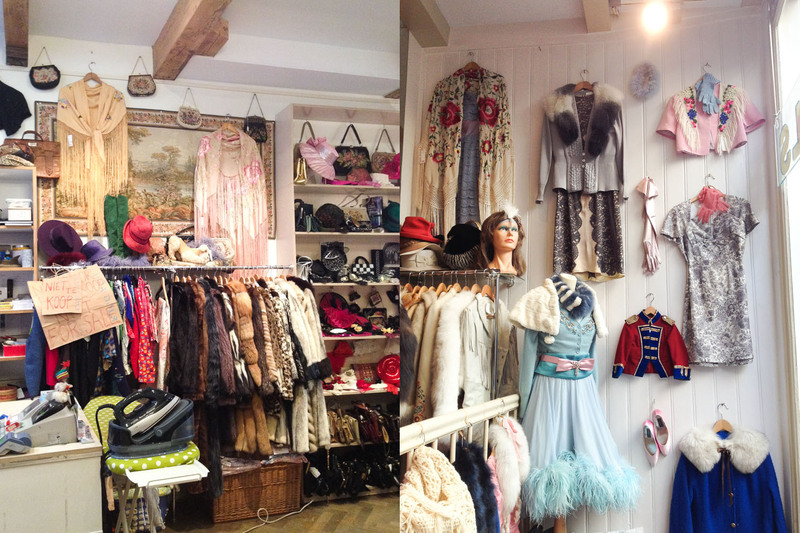 I had a wonderful time exploring the museums, flower market and of course the vintage shops! I’m sure many of you will have been to Amsterdam before, but if not, it’s somewhere I’d definitely recommend! 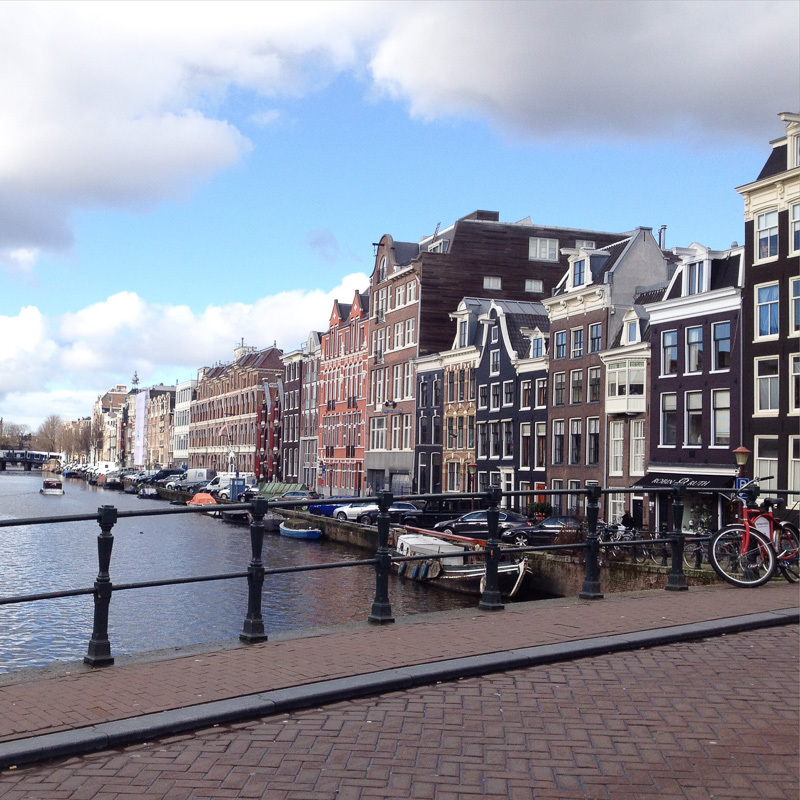 Amsterdam is full of stunning views, it’s affordable and you can walk across the centre in no time at all. Despite Amsterdam being a reasonably small city, it’s packed full of interesting side streets, with something going on almost everywhere you look! Regardless of your taste and interests, there’ll be something there for you! 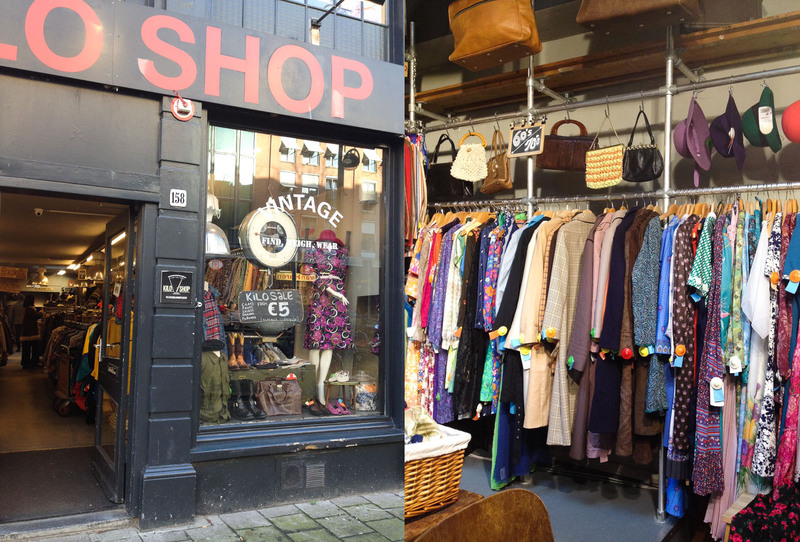 With 5 shops in the city centre packed full of brilliant 60s-80s vintage, it’s no surprise that Episode is one of the best places to rummage! In each shop, you can find an array of suede mini skirts, penny lane coats and lovely bags. Episode’s particularly good if you’re open minded to experimenting with patterns and different styles! I loved this shop! 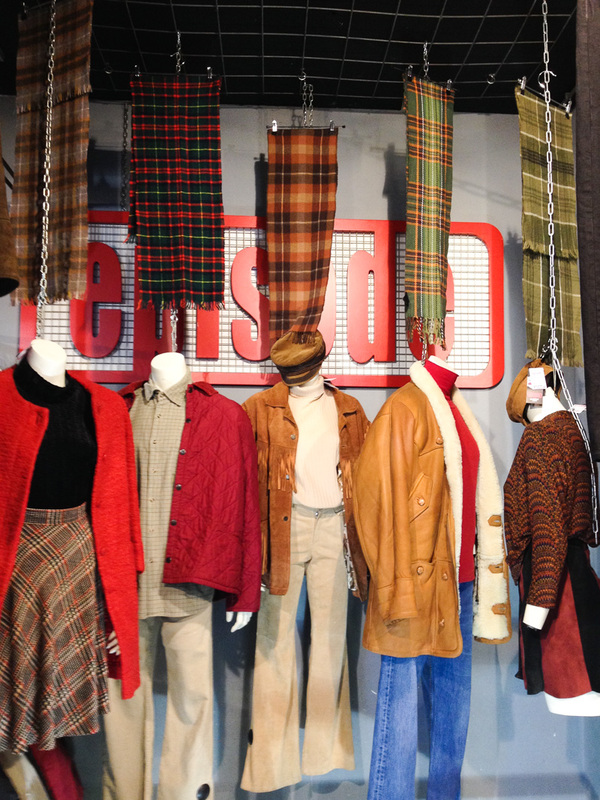 It had an entire floor pretty much dedicated to coats and accessories (does it get any better than that?) In the basement, you can find the most amazing collection of party dresses. I don’t think I’ve ever seen so many sequins in one place, in a good way though. There’s a good range for different budgets too, with some more affordable pieces! Wow, what an incredible shop this is! Aimed more at the 40s-60s vintage enthusiasts, this place is like a mini museum of stunning pieces. It’s a collectors dream, with some of the pieces, so beautiful that you’re almost reluctant to wear them! (if that makes sense) As you can imagine, this isn’t the cheapest haunt but it’s ideal if you’re looking for that special occasion dress. Marbles Vintage has a lovely collection of what appears to be hand picked 60s-90s vintage. I found some great 60s dresses there and the prices are very affordable too! 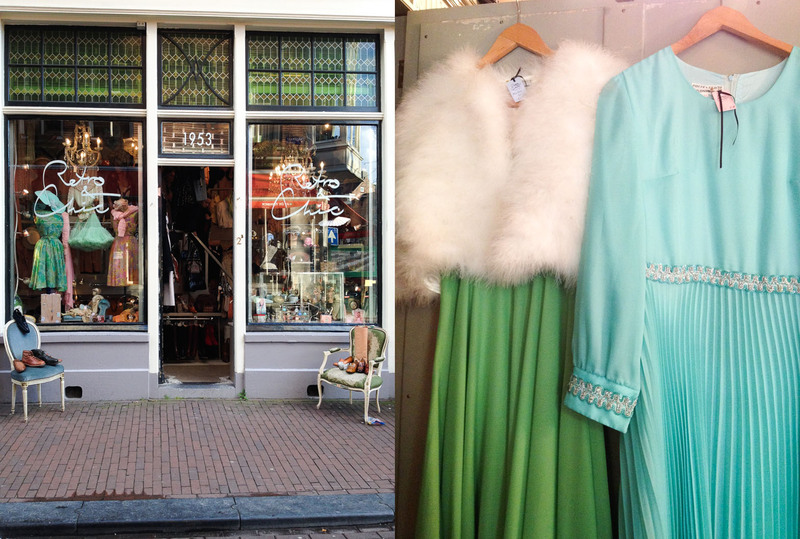 There’s two shops in Amsterdam and even though I only visited the Staalstraat store, I’d definitely recommend it! Another thing I found so good about Amsterdam was the variety of food. As a fussy vegetarian, I sometimes find it difficult to find good places abroad, but that certainly wasn’t the case here! Places I’d recommend: Pasta Pasta / Pasta Factory / New York Pizza / Maoz Vegetarian / Wok to Walk / Burger Bar – more for the meat eaters / Ice Bakery – they do Nutella frozen yoghurt! Evidently I’m quite into pasta. These places are all great if you just want to grab a quick bite! 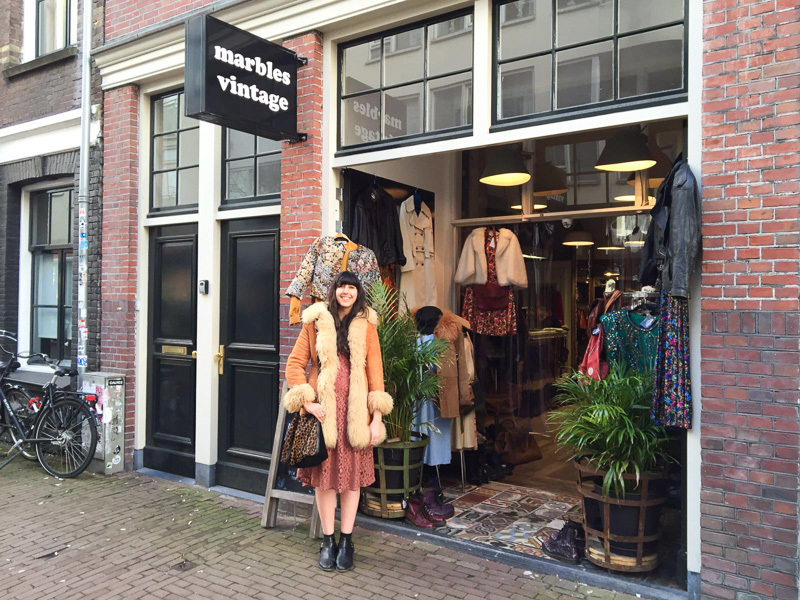 If you end up visiting Amsterdam, have a brilliant time and happy vintage hunting!